Meet our dedicated team of founders, advisors, researchers, scientists, and staff who are working together from across continents towards achieving our mission of affordable medicines for all. ​Dr. Tanjores S. Balganesh was the Project Head of the Open Source Drug Discovery (OSDD) Unit of CSIR, the national laboratory system of India. He obtained his Ph.D. from the Indian Institute of Chemical Biology, University of Calcutta, India and subsequently spent post-doctoral years with Dr. Sanford Lacks at Brookhaven National Laboratories Brookhaven (NY, USA). Later he was associated with Professor Thomas Trautner at the Max Plank Institute for Molecular Genetics at Berlin (Germany). He joined Astra Research Centre India as a Senior Scientist in 1987. He took over as Head of Research at AstraZeneca R&D India in 2000 focusing the unit on discovering novel drugs for the treatment of Tuberculosis. Further as a VP Discovery Research AZ, he handled all the research activities of this R&D unit. In 2011, Dr. Balganesh was awarded an Honorary Doctorate from the University of Uppsala, Sweden. Wengsi is a recent graduate of McGill University, Montreal where she completed a Bachelor of Arts degree in International Development and Urban Systems Geography. In 2016, she joined the team at the Open Source Pharma Foundation, assisting with special projects and events, partnership development, communications, and organizational tasks. As a freelance consultant for various individuals, companies, and organizations, she has gained a very diverse skill set. Her experiences include working one-on-one with a New York Time’s journalist to promote his podcast about a wrongful conviction; working with a data consulting company on a project seeking to reduce child-mortality in Mali; and illustrating a published children’s book to promote healthy eating. She is a homemade graphic designer who never turns down an opportunity to show off a bit of her creativity, especially to promote a good cause or raise awareness about issues of injustice, such as the scourge of tuberculosis and the global refugee crisis. Her passion for working with diverse local communities has also brought her to places such as Guatemala and rural China. She often reflects on the African Proverb, “If you think you’re too small to make a difference, try sleeping in a room with a mosquito.” Through her work, she strives to be a mosquito and inspire others to create a powerful impact. Keith is a scientist and entrepreneur in the for profit and non profit biomedical space. He was a co-founder and the Executive Director of the i2b2/tranSMART Foundation, a 501c3 non profit open-source, open-data foundation focused on realizing the promise of precision medicine. Keith cofounded the tranSMART Foundation, was its CEO from 2013-2017, and managed its merger with the i2b2 Foundation. Previously he was the VP of Systems Biology at CHDI (a Huntington's disease foundation), where he oversaw a budget of $60M, and implemented a systems biology-based preclinical drug discovery program. Keith spent 12 years in the Pharmaceutical industry with Merck and Bayer, and another 10 years in the Biotech industry as CSO of Gene Logic, and CEO of Viaken and Genstruct/Selventa. he has been the Founder and CEO/Executive Chairman of several new startup companies in the areas of biomedical computing and artificial intelligence (Axiomedix, Ingentium, PSertain Technologies, etc. ), and has served as an advisor to numerous venture capital firms, including Atlas Ventures, Oak Investment Partners and Flagship Ventures, as well as leading biotech, healthcare and AI companies. Alina works with Open Source Pharma Foundation (OSPF) supporting multiple projects concentrating on communications, events, and operations. Specialized in cultivating innovative community structures, Alina dedicates herself to initiatives of collaborative creation. A graduate of McGill University in Economic International Development and Management, she realized the importance of novel solutions that incorporate all stakeholders in motivating collective agency and resilience. Appreciating the power of social entrepreneurship, Alina has implicated herself in various start ups and continued to her MSc in Entrepreneurship and Collaborative Innovation at the University of Amsterdam and Vrije University. Since publishing her research of “Makers and Breakers: The Double Edged Sword of Shared Fabrication Spaces and Entrepreneurship” demonstrating how normative and cognitive functions affect maker communities, Alina utilizes the knowledge that collaborative communities are capable of overcoming all kinds of financial, institutional, and economic challenges through an open transparent culture encouraging active participation and meaningful communication. Indeed, she believes that when the space opens for individuals to connect through conversation, anything is possible. Alina is the Co-Founder of Rapids Inc. and co-creator of Alegoria, the board game that sparks conversation through open-ended, surprising, and fun questions. As a firecracker sparking social engagement, Alina is happiest when bringing people together in community to overcome shared obstacles. Dr. UCA Jaleel is a Principal Scientist at the OSPF-NIAS Drug Discovery Lab, NIAS IISc Campus Bangalore. He leads a team of drug discovery researchers who focus on various aspects of cheminformatics, including machine learning and AI-based analysis of neglected tropical diseases like TB, Malaria, and Leishmaniasis. His primary focus is in the application of machine learning and AI models in the medicinal chemistry data sets. He successfully applied ANN based machine learning models on the inconclusive molecules of the beta-lactamase bioassays of Mycobacterium tuberculosis. As a Principal Investigator of the "Cheminformatics for Neglected Diseases Project" for Open Source Drug Discovery CSIR Govt of India, he was instrumental in building as well as managing the crowdsource and machine learning solutions for various issues in the tropical disease research. His major contribution includes the solutions for the issues related with higher dimensional analysis and extractions of principal features of the in silico designing of machine learning models. His work at CSIR OSDD research unit at Indian Institute of science Bangalore could establish the successful modelling of semiconducting properties by machine learning and higher dimensional correlations of various kinds of datasets. As a big believer of open source, Jaleel supports the crowd and cloud source way of conducting research for early-stage drug discovery. Before joining OSPF in 2015, Jaleel worked for 12 years for a diverse range of organizations, including the Council of Scientific and Industrial Research (CSIR) Open Source Drug Discovery (OSDD) research unit at IISc, Bangalore; and the UGC Centre for Cheminformatics, Malabar Christian College in Calicut, India. In this role, he was responsible for guiding and supervising researchers in cheminformatics. Dr. MS Jawahar, a physician and epidemiologist, graduated from the University of Madras in South India with undergraduate (MBBS) and post graduate (MD) medical degrees before joining the ICMR-National Institute for Research in Tuberculosis (NIRT) of the Indian Council of Medical Research. During his tenure at the NIRT, he acquired a Masters Degree (MSc) and Diploma (DLSHTM) in Epidemiology from the London School of Hygiene and Tropical Medicine, on a WHO fellowship. His research experience spanning over 33 years at the NIRT covered the spectrum of clinical and epidemiological research in tuberculosis and HIV. His area of expertise was in randomised clinical trials with the main focus on shortening treatment duration for tuberculosis. He served as Principal Investigator for six randomised clinical trials in pulmonary and lymphnode tuberculosis. He also served as Principal Investigator for the Indian site for a WHO/TDR/ World Bank funded multinational study on gender differentials in TB control. He has published over 50 papers in peer reviewed journals and has participated in more than 150 conferences and seminars, often in an invited capacity. Dr. Jawahar was actively associated with the Revised National TB Control Programme of India and was part of teams that developed guidelines and frameworks for the programme. He is a member of the faculty for post graduate teaching programmes in epidemiology and public health of the ICMR-National Institute of Epidemiology, Chennai and the Christian Medical College, Vellore. He helped to design, guide and execute an online teaching programme ‘Manage TB’ for doctors for the NIRT in collaboration with the Indian Institute of Technology. He serves as Chairman/ Member in Ethics Committees of several hospitals and research centres. Currently Dr. Jawahar serves as a Consultant at the NIRT. ​Bhimsen Kulkarni is an outstanding professional with 18 years of experience in HR Management, General Administration/ Facility Management as well as 21 years in the Indian Air Force. His last association was with Alkem Laboratories Ltd. as the Manager of General Administration. Prior to that, he was associated with AstraZeneca India Pvt Ltd for 16 years in various capacities. Kulkarni is a meticulous planner and implementer with proven abilities in streamlining operational processes. He is skilled in interfacing with clients to understand their requirements and provide services accordingly. Kulkarni also expertise in handling HR functions entailing recruitment, training, succession planning, employee retention planning, employee satisfaction survey, and performance management. He is a competent administrator with proven resourcefulness and adeptness in administrative functions. While he is an effective communicator and team leader with strong analytical, problem solving as well as organizational abilities, he possesses a flexible detail oriented attitude. 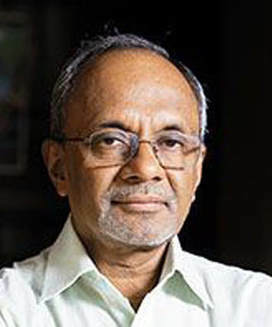 He obtained a Bachelor of Arts degree from Osmania University and Post Graduate Diploma in Business Administration and Personal Management and Industrial Relations from Bangalore University and Bharatiya Vidya Bhavan respectively. An international human rights lawyer, scholar, and social entrepreneur, Jaykumar Menon fancies himself a giant killer. He is currently a Senior Fellow at the Harvard Global Health Institute, a Visiting Scientist at the Harvard School of Public Health, and a Research Fellow at the Centre for International Sustainable Development Law, which is based at McGill University. His research, teachings and practice focus on innovative approaches to realizing basic human rights for a billion or more people. He is a founder and the chair of the Open Source Pharma Foundation, which aims to generate affordable new cures in areas of great health need and to create a new open source innovation model for drug discovery, and which is currently Phase 2B clinical trials for a new adjunct therapy for tuberculosis. He is also a founder of The India Nutrition Initiative, which is developing salt double-fortified with iron and iodine (“DFS”), to help address the world’s the most widespread form of malnutrition, iron deficiency, which afflicts 2 billion people, disproportionately women and children. DFS is currently reaching over 10 million people. ​Nibedita Rath is Scientific Director of the Open Source Pharma Foundation. She has more than eighteen years of scientific research experience both in industry and academia including IVY League, Premier Indian Institute, Biotech, Government undertaking and in non-profit organizations. She has experience in the interface of chemistry and biology, and she has played a key role in evaluating projects that includes strategy, synthesis, screening, structure-activity relationship (SAR) analyses, medicinal chemistry design. She has worked in multidisciplinary drug discovery projects in therapeutic areas like metabolic disorder, oncogenes and infection. As a Functional Head in a biotech company, she was instrumental in building as well as managing the Chemical Synthesis Lab and Biochemical Screening division. Her major contribution includes taking nutraceuticals from bench to market as a food supplement and playing a key role in establishing a virtual Hepatotoxicity model for a client. Her work as a Postdoctoral Research Scientist in MCRC, UPENN focused on identification of transcription factors in the formation and differentiation of the mammalian lung and vascular system. Her work at Drexel focused on molecular and functional dissection of BRCA1 and ELK1 Tumor Suppressor Genes in breast, ovarian and prostate cancers. Her work at the Indian Institute of Science focused on complexation behavior of Ru(II) with nitrogen-based biheterocycles and phosphine derived ligands and analyses of their X-ray crystal structures and also studied their catalytic properties. She obtained her PhD in Chemistry from Utkal University, Orissa in 1999. She is a Gold Medalist and conferred with Best Graduate in the year 1992 and holds all India rank in GATE-1994. Dr.Shandil, Director, FNDR, served AstraZeneca India, Bangalore, for 20 years in various scientific and managerial roles at Infection – innovative medicines group. Shandil was Head of DMPK & Animal Sciences and led multidisciplinary teams in biology, immunology and pharmacology. He played a central role in building microbiology, cell biology and Pharmacology based drug discovery platforms relevant to drug discovery in infectious diseases. ​He was instrumental in building and managing state of the art bio-safety laboratories, a Vivarium, and validating animal models of tuberculosis, malaria and serious bacterial infections, PKPD and Pharmacology at AstraZeneca Bangalore. Shandil’s scientific leadership led to discovery and pre-clinical development of AZD 5847, an oxazolidinone class of compound that has recently completed Phase 2a/EBA clinical trial in TB patients. He led pharmacology of several TB and malaria lead optimization (LO) programs. His most recent & significant contribution includes discovery of Azaindoles, a yet-another clinical candidate for TB [Shirude. P et.al. Antimicrobial Agents and Chemotherapy, 2014, 58:5325-31]. He holds/shares patents for discovery of AZD 5847 and Azaindole class of compounds for the treatment of tuberculosis. He has ~30 publications in peer reviewed national and international journals, a dozen of them in very prestigious drug discovery journals like Antimicrobial Agents and Chemotherapy, Journal of Medicinal Chemistry, Tuberculosis and Science. Shandil is scientific consultant and advisor to biotech companies and Research Institutions and holds Adjunct faculty position at Transdisciplinary University, Bangalore.